So are you looking to spend all day in the gym? Are you an entertainer, an expert and an individual with passion? Do you get a buzz out of life and love meeting and greeting? Then we could have the perfect job for you. If you're passionate and happy and love working in a team, we want to hear from you.<br><br>Day-to-day activities will include:<br><br>• Demonstrate a friendly, professional and consistent manner to all members, visitors and colleagues. <br>• Be responsible for cash intake and have a basic administrative and operational role within the business.<br><br>Key candidate requirements for the role:<br><br><br>• Good interpersonal, oral and written communication skills	<br>• Confident team player able to work effectively and deliver results in a pressurised environment	<br>• Proactive self-starter	<br>• Strong organisational / time management skills with a flexible and enthusiastic approach	<br>• Diligent with an attention to detail	<br>• Positive and friendly attitude	<br>• Up for a challenge	<br>• Knowledge of health & fitness, leisure and hospitality industry, as well as the studio product (preferred)<br><br>The role will involve working varied early, middle and late shifts at the following times:<br><br>• Early: 05.30 – 14.30<br>• Middle: 11.00 – 20.00<br>• Late: 14.30 – 23.30<br><br>*Weekend times vary dependant on club opening times.<br><br>What are the perks of working for this company?<br><br>• We are a fun, diverse and fast paced growing company, allowing for progression opportunities<br>• You will have access to our benefits platform that includes hundreds of freebies and discounts. <br>• You will be entitled to a free membership at Gymbox<br>• Loyalty holiday scheme, with extra days of holiday for your years of service. You will also have your birthday off! 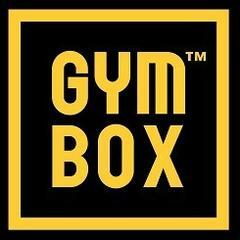 Gymbox is posting their hospitality jobs on Harri.